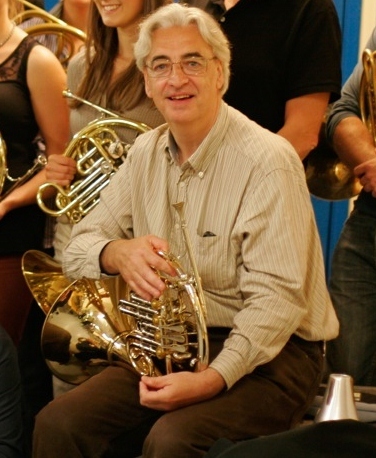 Hugh Seenan is one of the United Kingdom's most distinguished horn players. His playing career spans four decades and has included being principal horn of the London Symphony Orchestra for 12 years and the Royal Scottish National Orchestra for 5 years, and Professor of Horn at the Guildhall School of Music and Drama in London for 27 years. He has performed with all the major UK orchestras and worked with most of the world's great conductors and film composers. Hugh is dedicated to the future of British horn playing and he has taught many of the horn players leading today's British orchestras. ProHorn is a private teaching service for postgraduate level French horn students and professional players. All ProHorn classes are given at the 1901 Arts Club which is a short walk from London Waterloo mainline and Underground station. The 1901 Arts Club has excellent facilities for one-to-one horn lessons, horn ensemble and master classes.